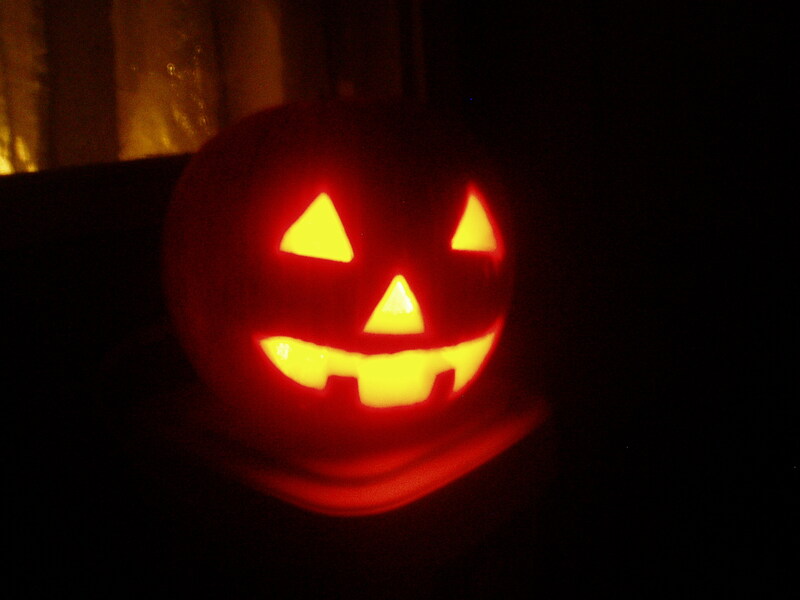 Yep, I carved that one myself. Shauna did one too. Aww. I like the spider. It’s a little vampire spider. Like the one that bit me on the back of my thigh. Though I suppose it could have been a vampire flea. Or a vampire mosquito. First time I’ve been bitten on the thigh in years, and it’s by a vampire bug. Figures. I was impressed, as this was my first carving ever. This year we did 4. A lightning McQueen, a Tigger, and a Jack Skellington with Sally pumpkin…. 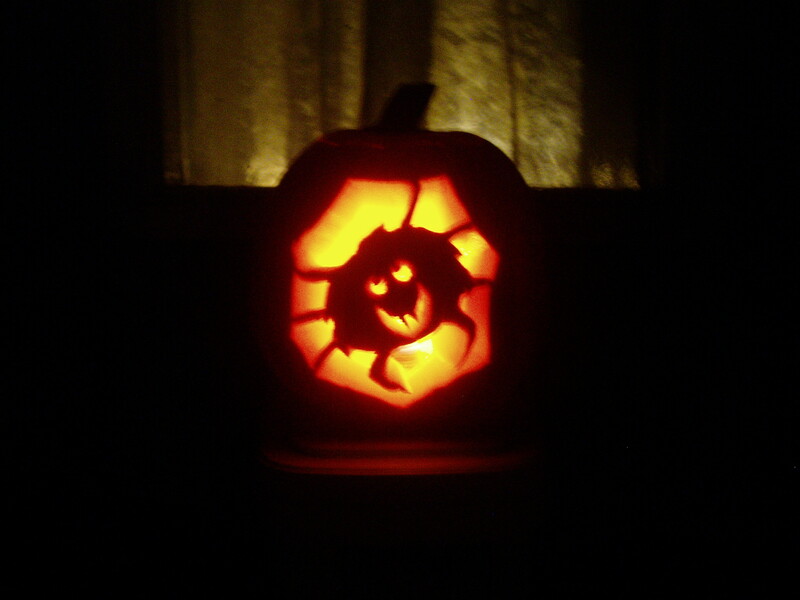 For my first ever pumpkin carve, not too shabbs I must say. when i post a comment, it shows me the comment which was submitted. I come back, it disappeared. I type a second comment. Disappears too. So thats why you have two similar posts from me, both with my name incorrectly spelled. I love your spider very much. Ps…there’s a package for me at the post office, but it’s a half hour walk away. I’ll get it on Saturday! I have the ability to fix Jason's retardedness, of course, but I think this is a bit more fun. Oh, and also, the reason why comments "disappear" is because they have not been approved yet. Did you think we let just any old yahoo post on our blog? Well, we do so don't feel special. We still approve every comment though. I’m a fan! Seriously good work on the spider, I like the “old school” one too. VERY CUTE! I did Strong Sad but couldn’t get a good one of him GLOWING.